Let us customize the details for your party with personalized napkins, cups, stir sticks, coasters and so much more. Entertain in style with our custom personalized goods for the home such as cutting boards, unbreakable drinkware and more. Fine luggage and gift items in leather and coated canvas. Made in Texas. Rugged leather and waxed canvas travel and hunting gifts. Made in Texas. 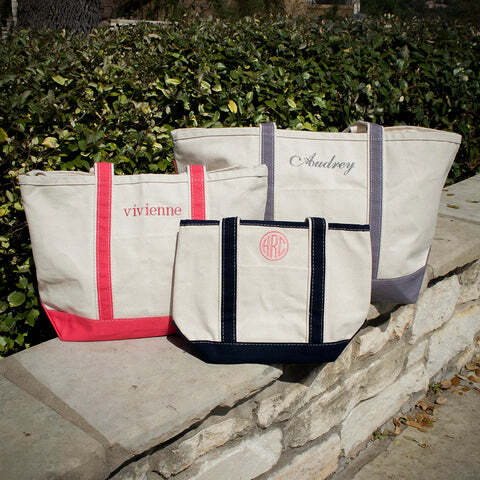 Gracious Bridal Design House offers a sophisticated line or personalized totes and travel bags. Canvas tote bags are custom printed for your event or larger, durable canvas travel bags are monogrammed for a unique gift. Tote bags of varying sizes, styles and colors are personalized to give your gift that custom edge. Perfect for birthdays and graduations. Need a quick gift, or hosting a party soon? Check out the grab and go selection of party goods — ready to ship.